Zielona Gora has a 2-3 record through its first five games in the VTB United League and sits in 8th place. The Polish club’s head coach Igor Jovovic spoke with VTB-League.com about tough games vs. Astana and Kalev, inconsistency, the club’s leaders and the upcoming game with Enisey. The VTB League is a new competition for you. How would you judge your debut? – I think we can be satisfied with our attitude. In each of the five games we fought for the win. As a newcomer we didn’t have the highest expectations. We wanted to show off from the best side, of course. For now we have two wins and we were very close to winning the last game in Tallinn. We are unhappy, because in my opinion we lost the game more than Kalev won it. 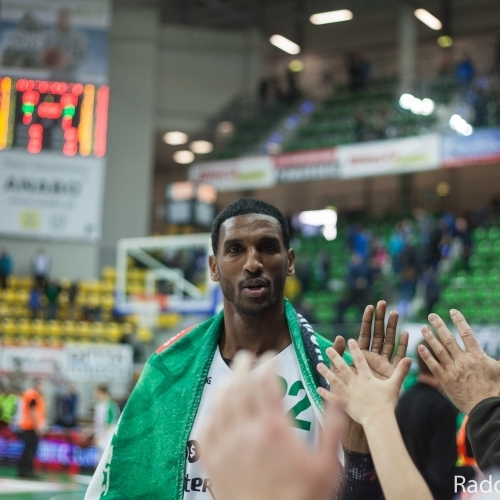 Stelmet Enea BC fans believe that you could win the games with Astana and Tallinn. What is this team missing to tip the scales of victory to your side? – Astana started the game against us very well. They have good individual players on their team. We couldn’t find our rhythm throughout the whole game. The situation was different against Kalev. We started this game very well. We already had ten points, but we were very unstable in the attack. We played too fast instead of better controlling possession of the ball. We had too many turnovers and we missed a couple easy layups. It was a chance to mentally crush the opponent. This happens when you are effective in attack. However, we gave them a second chance and we had to fight for the victory until the end of the match. This is just the beginning of the season and maybe it is too early to tell about this, but is the team playing up and down? After a fantastic match against Arka Gdynia in the Polish league, when you scored 113 points, the team didn’t play well in Tallinn. – We play all the time practically at the same level in the Polish first league. This is our main goal this season. In the VTB League, as I said before, we also want to play at the highest possible level. I do not think we will totally fail here, or that we won’t meet the expectations. We did not take the chance we had in Tallinn. 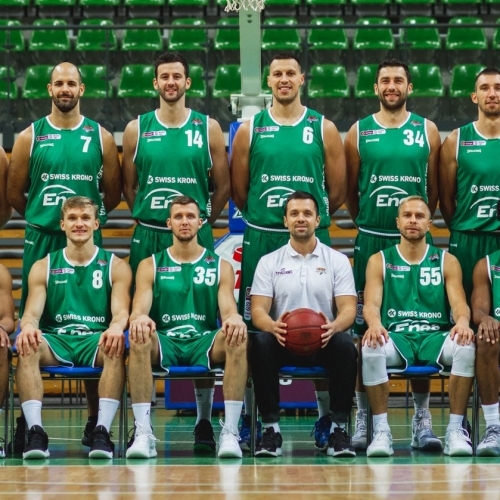 At the same time, let’s not forget that this is the team that defeated Nizhny and Lokomotiv Kuban. In the second game they played without Ivan Almeida and Landen Lucas and they won. This shows you good they are. I know that fans all over Europe expect only victories and great form in every game from the team they support, but this is not realistic in sports. Are you satisfied with leader Michał Sokołowski’s performance so far? – Yes. He is still able to learn a lot and you can see that he wants to learn. Sometimes he makes mistakes due to lack of experience. Another time, he does some things too fast. But this is part of getting experience. Earlier in Rosa Radom (Sokolowski played three seasons with them in Basketball Champions League), he had a lot of freedom. Now we have five good players on the court and he has to learn where to look for the advantage. His experience is getting stronger. I’m happy with his attitude. Darko Planinić scored 17 points in the last game. Does it look like he’s coming back into shape? – He looks better and better. This is what we’ve been saying all the time: When he gets back in shape, he’ll be able to help us. He also needs time, but I believe that he will look better every day. Looking ahead, on Sunday you play Enisey Krasnoyarsk and have a very long journey. What can you say about your rivals? Will the home advantage for them be crucial? – They are the favorite in almost every game they play at home. It will be a long journey and also a big time difference [the Sunday match will begin in Krasnoyarsk at 4 pm. In Zielona Góra it will be only 10 am]. They have a deep roster and good Americans. We have to adapt to difficult conditions, be ready mentally and then we are able to fight for victory.